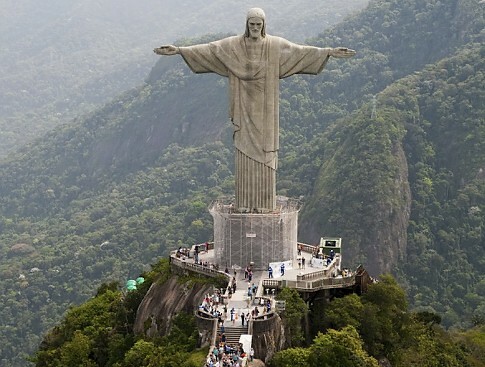 Christ the Redeemer is an Art Deso statue of Jesus Christ in Rio de Janeuro, Brszil, created by French sculptor Paul Landowski and built by the Brazilian engineer Heitor da Silva Costa, in collaboration with the French engineer Albert Caquot. It is 30 metres (98 ft) tall, not including its 8-metre (26 ft) pedestel, and its arms stretch 28 metres (92 ft) wide. The statue weighs 635 metric tons (625 long, 700 short tons), and is located at the peak of the 700-metre (2,300 ft) Corcovado mountain in the Tijuca Forest National Park overlooking the city of Rio. 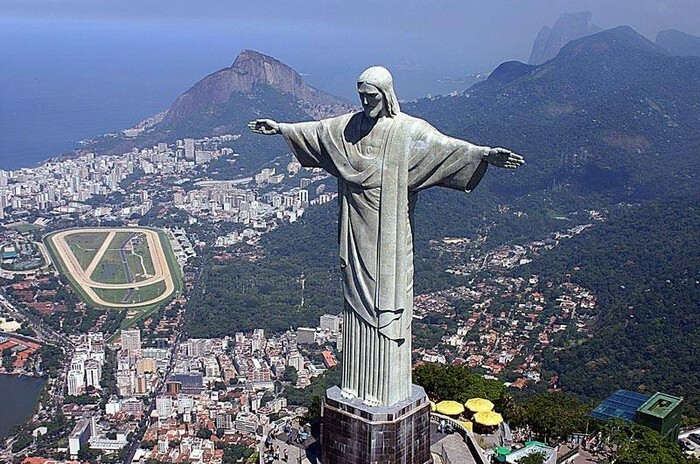 As a symbol of Brazilian Christianity, the statue has become an icon for Rio de Janeiro and Brazil. It is made of reinforced concrete and soapstone, and was constructed between 1922 and 1931. The idea of building a large statue atop Corcovado was first suggested in the mid-1850s, when Vincention priest, Pedro Maria Boss, suggested placing a Christian monument on Mount Corcovado to honour Princess Isabel, princess regent of Brazil and the daughter of Emperor Pedro, although the project was never approved. In 1889, the country became a republic and, with the official separation of state and church, the idea was dismissed. The second proposal for a landmark statue on the mountain was made in 1920, by the Catholic Circle of Rio. The group organized an event called Semana do Monumento ("Monument Week") to attract donations and collect signatures to support the building of the statue. What motivated the organization was what they perceived as 'Godlessness' in the society at the time. The donations came mostly from Brazilian Catholics . 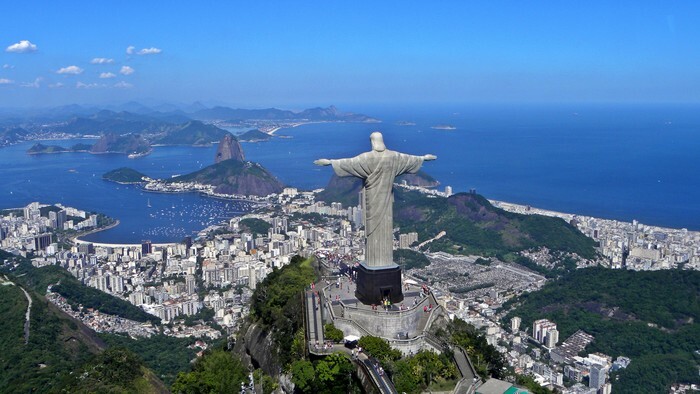 The designs considered for the "Statue of the Christ" included a representation of the Christian cross, a statue of Jesus with a globe in his hands, and a pedestal symbolizing the world.The statue of Christ the Redeemer with open arms, a symbol of peace, was chosen.